Antonio Gaudí left a unique architectural print in Barcelona. Among his most spectacular creations is Casa Batlló, a building that has its own life and over the years has become an icon of modernism in the city. 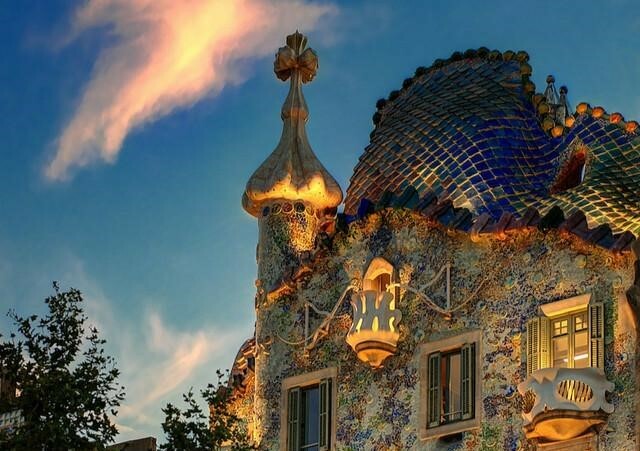 Casa Batlló was built in 1875, and originally looked nothing like the building we know today. In 1903 the businessman Josep Batlló bought the property and commissioned Antonio Gaudí to redesign it. The Catalan architect transformed the modest building into one of the most spectacular and unique private residences in Europe, declared a UNESCO World Heritage Site in 2005. The building became part of what is known as the Manzana de la Discordia (Block of Discord), which brings together in a single façade three of the masterpieces of the main architects of Catalan modernism: Casa Lleó Morera (the work of Lluís Domènech i Montaner), Casa Ametller (by Joan Puig i Cadafalch) and Casa Batlló. Three buildings that have competed in beauty since their construction (the name Manzana de la Discordia arose from the healthy rivalry that existed between their creators) and that, together, form an authentic open-air architectural museum in Passeig de Gràcia, in the heart of Barcelona. The building represents the battle of batalla de Sant Jordi, patron saint of Catalonia, against the dragon (representation of evil). On the roof, the spine of the dragon is represented by tiles of different colours in the shape of scales, crossed by a four-armed cross that evokes the sword of Sant Jordi. On the top floor there is a balcony in the shape of a flower alluding to the princess’ balcony and popular legend has it that, on the lower floors, there are the remains of the dragon’s victims symbolised by balconies in the shape of skulls and columns in the shape of bones. For its part, the railing of one of the staircases represents the vertebrae of the dragon’s tail and the main room of catenary arches evokes the animal’s rib cage. Its large oval windows, the glass trencadís of the façade, the mask-shaped balconies or the magnificent set of chimneys are an ode to the imagination with which Gaudí filled the Casa Batlló with magical corners. As a constant in practically all of his works, Gaudí was inspired by the forms of nature to design a large part of the structure and decorative elements of Casa Batlló. The façade, overflowing with curves and colours, represents a calm sea with polychrome ceramics in blue tones (designed between Gaudí and Josep Maria Jujol) and the chromatic richness of the windows. From the façade also emerge balconies with cast iron and marble railings on shell-shaped pedestals. 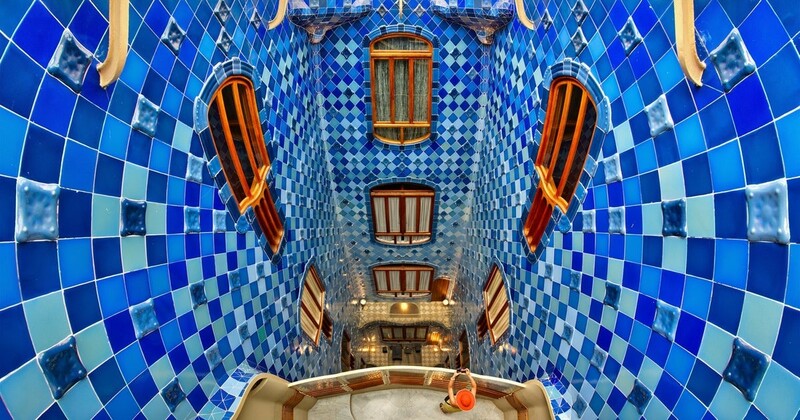 Just as spectacular, the undulating inner courtyards evoke the depths of the sea with their original ventilation system, the skylights in the shape of a turtle shell, the handrails that look like the backbone of a large animal and Gaudí’s incredible mastery of light, colour and different decorative materials (glass, wood, iron, etc.). The interior of the building, where straight lines seem to be forbidden, is articulated around a central courtyard of 50 square metres designed to maximise the use of natural light. The white and blue ceramic decoration is reminiscent of an underwater cave. The main floor, where the Batlló family lived, was entirely designed by Gaudí, including the furniture and the rest of the decorative elements. 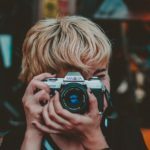 Casa Batlló is about 25 minutes walk from the Hotel Arc, so if you feel like it you can take a pleasant walk through three of Barcelona’s main streets and squares: La Rambla, Plaça Catalunya and Passeig de Gràcia. If you want to go by public transport, the best option is to take the metro at the Drassanes stop (line L3, green) until you reach the Passeig de Gràcia stop. In general, Casa Batlló can be visited every day between 9 a.m. and 9 p.m., although it is recommended to check directly on its website the opening calendar and ticket prices because many special events are organised throughout the year. If you would like more information, do not hesitate to ask our staff, we will be delighted to help you!